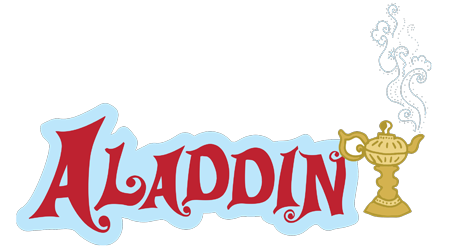 This is the classic story of Aladdin and his magic lamp. 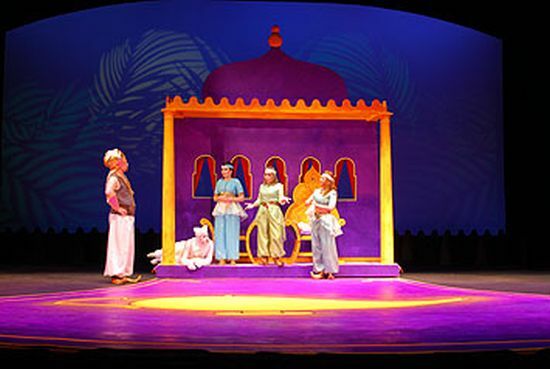 Aladdin discovers a magic lamp and, with the aid of the Genie, wins the hand of the lovely Princess Balmyra. 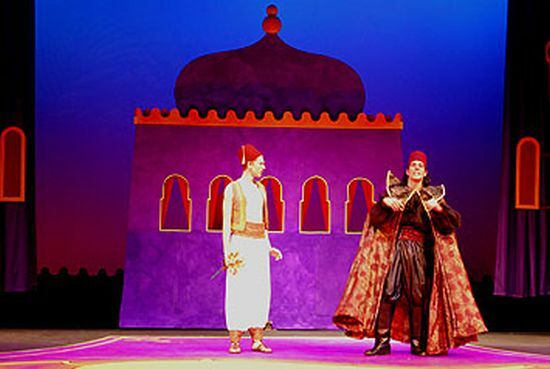 But the evil Turkish Magician gains control of the lamp and instructs the Genie to bring the Princess to him in his palace. 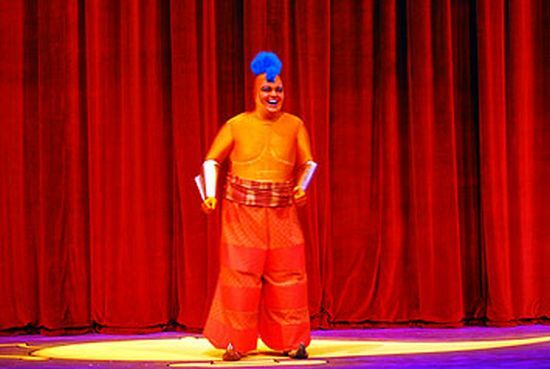 Aladdin (with the help of Balmyra’s cat, Tiger Lily) finds the magician and rescues the Princess. The script includes two musical numbers which can be used with a string accompaniment, or presented as a poetic dialogue. Students will gain familiarity with unforgettable works of literature while improving their vocal and presentation skills. 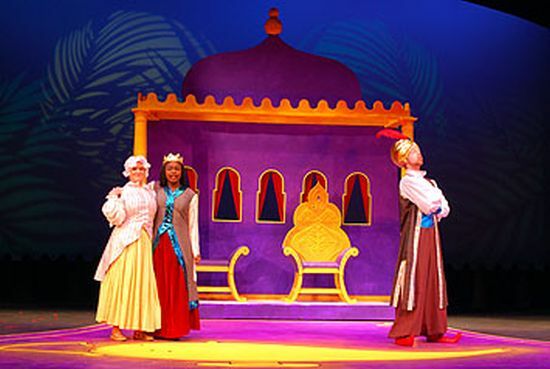 Introduce your students to other countries and cultures through the traditional folk and fairy tales in these engaging readers theatre scripts.